I'm always looking for the best travel deal. In the last year, my new favorite way to maximize time, locations and save money is to check into multi-way flights. It's especially helpful if you're flying into one airport and flying out of another. 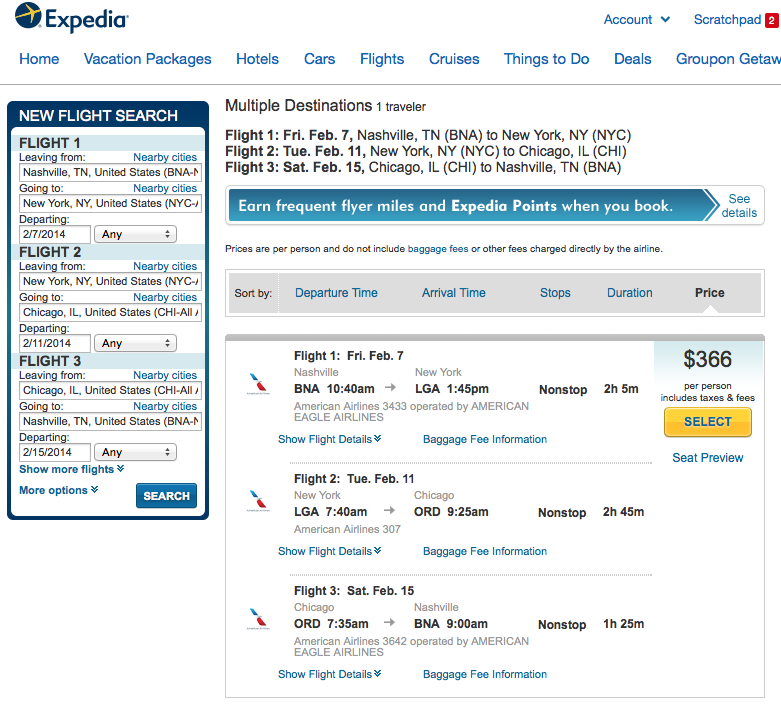 This is easily done on Expedia or your travel search of choice, then you purchase through the airline listed. Here's an example. I picked random dates and random cities, but just wanted to show the possibilities. Let's pretend you need to go to New York and Chicago on back to back weekends. $336, not that bad. And I didn't change any dates to see if there was a more affordable option, perhaps staying an extra day in one or the other. This has you staying in Chicago until you need to go to New York. 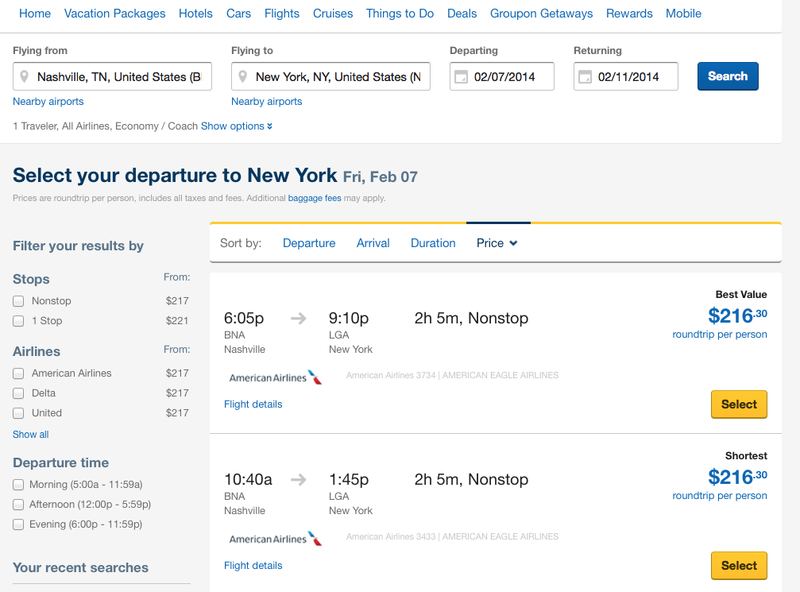 Now, if you booked this same trip on two different flights, you're looking at over $100 price increase per person. Now like I said, this might be a strange example. But let's say you're flying into one airport and out of another. i.e., Flying into Seattle and taking the train to Portland. Or seeing all of your family over one holiday weekend! Let's try another. My husband's family lives in North Dakota and vacations in Montana, a 9 hour drive away. My family lives in Florida, and usually stays in Florida ;) But for fun, let's say we were doing Disney with my family. We'd want to fly into the vacation destinations, but then drive back with our parents for a day or two at home. If we fly to North Dakota, we would have to drive nearly 20 hours round trip to fit Montana in. Alternatively, we fly into one and out of the other. Same with Disney, 3 hours from my parent's house. Let's see them separate. The multi way in this case saves you time and money. $100 per person, and cuts your driving time in half. This is similar to a trip we recently took. We went to Mexico to celebrate our anniversary, but wanted to meet up with Matt's family to go snowboarding, and then drive back to his hometown for a few days with extended family. Since Ixtapa is remote, flights are usually around $600/person. 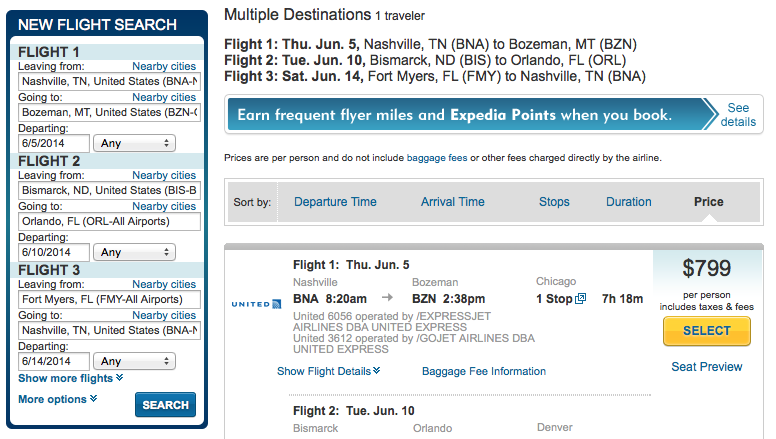 Bismarck and Bozeman, remote in their own ways (i.e., only like two airlines fly there), are also very expensive. Typically in the $400-500 range. Needless to say, we budget for flights around here! Unfortunately, $1,000/person for Thanksgiving was not in the cards. We were able to find a multi-way ticket for just a bit more than the price of going to one of the places. So we booked it! And packed everything in a carry on. More on that later! Give it a try. 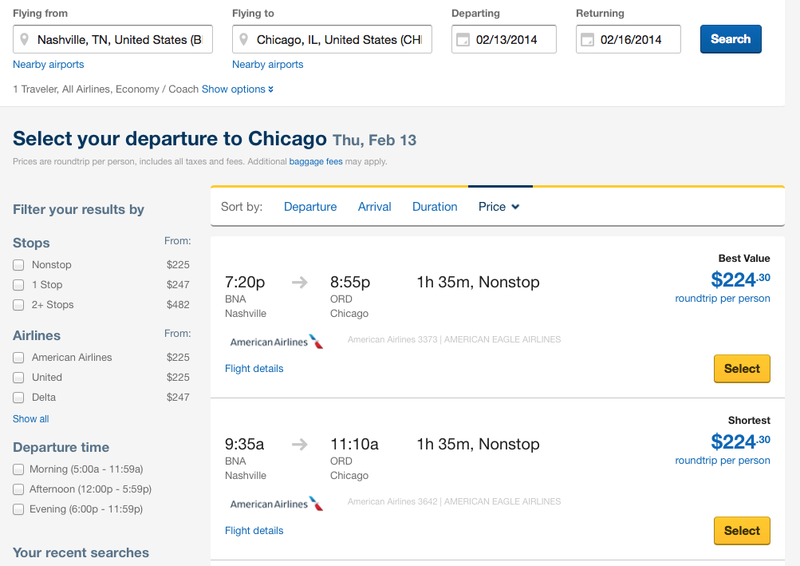 If you search your destinations and aren't seeing much savings, switch your days +/- 1 and see what happens. When we did our Mexico/Arctic Tundra tour, the magic combo of days was amazingly affordable - but move it one day in either direction, we would have paid over $2,000 per person. So check out your options! The multi-way ticket can make your next trip go smoothly. You cut down on fly time, save money, and travel more than you paid for! Have you ever used a multi-way ticket? Good results?